Yan wo, or bird's nest, is sometimes is referred to as 'the Caviar of the East.' Two reasons, their high cost, and because this food is treasured as a delicacy. Bird's nest health values appeared in one Chinese medical classic at least three hundred years ago. It was discussed before, and since has a solid place in the treatments and therapies of Traditional Chinese Medicine (TCM). The nests are of swiftlets that are edible. The Chinese believe eating these bird's nest influences lung, stomach, and kidney meridians, and improves appetite and complexion. They commonly use them to aid recuperation from debilitating illnesses because of their easily digestible glycoprotein and other nutrients; also because of their as yet undiscovered bio-compounds. Edible bird's nests are among the most expensive Chinese delicacies and tonics consumed by man. High quality whole clean white nests can come from Sabah, Thailand. and Vietnam and can retail at well over two thousand dollars a pound. For centuries, Chinese royalty, that is their women, has been known to consume bird's nest to enhance beauty and aid in disappearance of fine facial lines. Their ingestion is also believed to make better skin and complexion. In Asia, bird's nest, perhaps more than diamonds, are a woman's best friend. EDIBLE BIRD'S NEST are exclusively built by small birds known as swiflets. They belong to the large family of the common swallow, but only nests from three species are edible. The nests are built from the bird's salivary secretion which is abundant, particularly during breeding season. Some of most costly edible nests are known as red blood nests. These are commonly misunderstood (and even have been by this magazine’s editor). Many think the red is stains of blood from the birds; however, their reddish hue is not blood. It is simply ferrous material, that is iron from chemical interactions of various natural factors such as temperature, humidity and contents of the cave walls where the nests cling. BIRD'S NEST, THEIR USES AND BENEFITS have been prized for centuries. 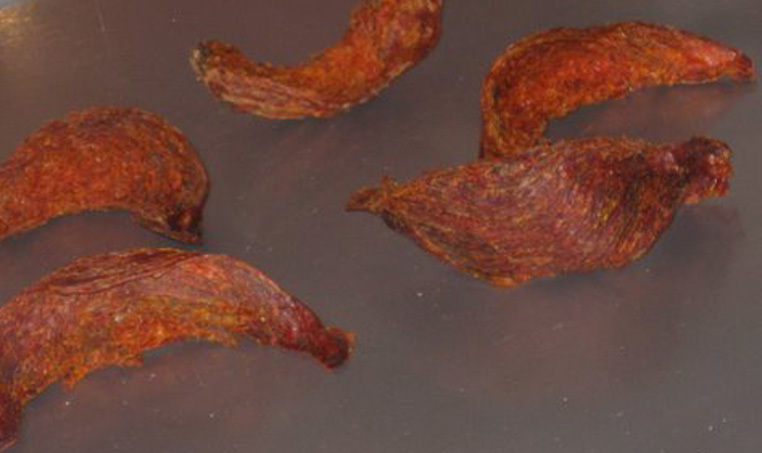 They have been used as a highly nutritious healthy delicacy and a therapeutic supplement. With their high glycoprotein content, about seventy percent, and their neutral energetic property, bird's nest can be consumed for a long time and by people of all ages. Bird's nests are considered neither warm nor cool in Traditional Chinese Medicine (TCM). They are said to boost the immune system, strengthen respiratory functions, and nourish internal organs. They are recommended by TCM practitioners as a cure for bronchial problems such as chronic cough and asthma. Some people use them to complement other treatments intended to combat degenerative diseases. Increasingly, they are used for convalescence, post-natal and post-surgical. Recent scientific findings about bird's nest characteristics highlight the presence of a unique profile of epidermal growth factor (EGF) believed responsible for repairing skin cells and tissue. This EGF is said to be responsible for their therapeutic benefits including enhancing a person's complexion. In addition, edible bird's nests are said to have the ability to rejuvenate and restore youthfulness and make the skin glow. 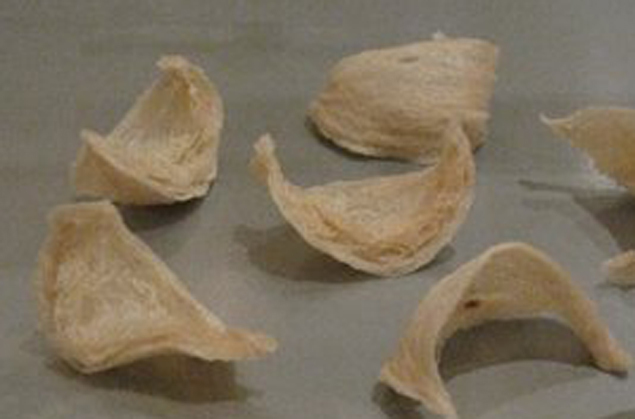 Chinese and other Asian expectant mothers favor regular consumption of bird's nests because the complexion of the newborn is said also to be enhanced. Because edible bird’s nests can be prepared in many ways, in savory soups, desserts with rock sugar, or infused with herbs, many Chinese and others enjoy bird’s nest dishes often during banquets and celebrations. When taken regularly, they are believed to improve a person’s overall physical health and their mental dexterity. TECHNIQUES OF HARVESTING edible bird's nests include use of highly trained collectors, sometimes known as 'Spidermen.' Typically, they inherit their jobs and learn skills necessary for these jobs from their fathers. They are reputed to be most agile in scaling dark cave walls. Harvesting is done in several ways, depending on the cave’s location, ground elevation, and other geographic considerations. In caves where the ceilings are low, bird’s nests are gathered by hand. In taller caves, bamboo scaffolds and wooden walkways are built so that harvesters can reach the nests. These collectors can be suspended by rope or vine for security purposes as they scale caves and put the nests collected in small bags they carry with them. Some swiflets have found the eaves of abandoned coastal houses favorable for building their nests so some houses are commercially constructed especially for the swiflet; the express purpose for harvesting nests they make on them. TECHNIQUES OF PROCESSING are minimal for whole nests with few feathers, that is if they are white and relatively clean. Nests with lots of feathers, known as black nests, need extensive processing in what is considered a cottage industry. Typically this is a long, tedious, and labor-intensive task. Generally, a space in a building close to the where the nests are gathered is transformed into a simple factory. There, workers devote themselves to cleaning, drying, sorting, grading, and packing collected uncooked nests. PREPARING RAW BIRD'S NEST can be done in two ways. Premium white whole nests are made to look like a halved cup putting them in to a wire frame to shape them. The more affordable black nests are dried and molded into flat leaf-like pieces. To prepare them, the nest is rinsed quickly and then soaked in warm water to allow it to expand. Then it is either steamed or double-boiled for at least two hours. 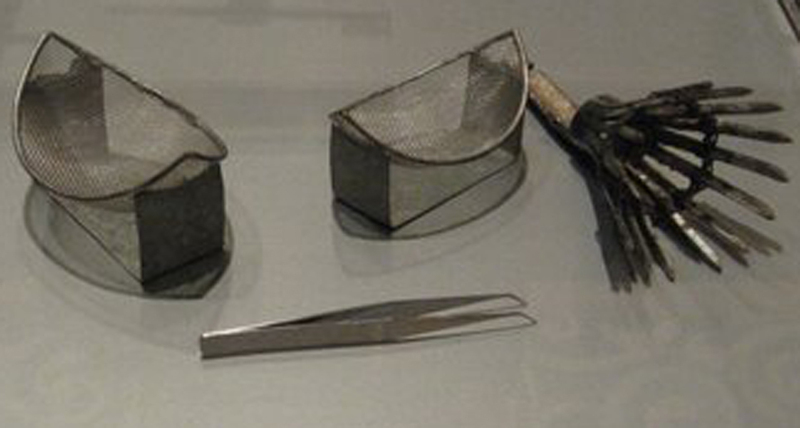 Tools and types of molded bird's nest are also illustrated on these pages. There are many recipes that use bird's nests including those serving them as a soup, typically with lean chicken. Sometimes, other ingredients are added to enrich the soup. Many people love bird's nest in dessert. One simple way is to add rock sugar with or without fruit. Some people add pitted dried red dates, lotus seeds, even white fungus. Others add coconut milk or pieces of other fruits such as papaya, mango, or pear. Today, bird's nests can be pre-prepared and bottled for convenient culinary usage. It is important to purchase reliable brands ensuring that bird's nests are of high quality. Purchasing reputable bottled bird’s nest is not only easy but it assures that the contents are made using real high quality edible bird’s nests. CONSERVATION AND SUSTAINABILITY is an important consideration these days. After the hatchlings have matured, their feathered parents abandon the nest. A new one can be built for the next breeding season. When abandoned, the nests are harvested and the swiflets not harmed. However, because nests are so prized and very expensive, there is a risk of over-harvesting. To protect these swiflets and their habitat, most countries where bird's nests are harvested, have laws about collection practices. Sarawak, for example, allows black nests to be harvested only at seventy-five day intervals. In Vietnam, collection is allowed only twice a year. As a result of these and other regulations, the quality of the nests in these places are said to be superior. In recent years, more commercial swiflet houses have been built for what is called 'ranching.' These buildings mimic natural cave environments with optimum humidity, light and noise levels carefully maintained and monitored. Workers are trained to manage these homes to avoid harm to the birds by pests and predators. SWIFTLET CAVES IN THE MALAYSIAN PENISULA do not produce a significant number of edible bird's nests. However, the commercialization of farm-raised ones is rising in popularity. As early as the turn of the 20th Century, edible nest swiflets were discovered in houses in Penang, Malacca, and Kuala Trengganu. In the past twenty years, more pre-war houses were frequented by swiflets from Indonesia. These birds favor houses near rivers and the sea. On this country's east coast, these birds are found in Kota Bahru and Kelantan shop houses. On the west coast, high concentrations of these birds are now found in areas such as Sitiawan, Alor Setar, Penang, Nibong Tebal ad Malacca. Sabah & Sarawak in East Malaysia have been a source of excellent white and black nests for decades. The government regulates all the caves in Borneo. INDONESIAN CAVES were prime supplier of bird's nests, that is since the discovery of quality edible nests four hundred years ago. However, due to over-harvesting and pollution, the quality of the nests here less than previous ones. These days, black nests from Indonesia tend to be smaller, lacking in long strands, and often unable to withstand cooking while white nests from natural caves are getting scarce. Thus, the focus tends to be on farm-raised swiflets. For these, the Indonesians are pioneers. THAILAND CAVES have whole white nests, big and thick, and most can withstand cooking. Nests found in Thailand are yellowish, their color tends to change to red upon exposure to light. Since most of the nests are harvested near coastal caves and islands, these nests have a seafood taste and aroma. Thailand is not a major producer, but it does produce a rare black nest that has interesting shining hues. VIETNAM CAVES comply with bi-annual harvesting conservation laws. These have yielded very high quality whole white nests with thick and big strands. The Vietnamese whole white nests are popular, many exported to Hong Kong, China, and the United States,; they command premium prices. Black nests from Vietnam are sold to Sabah and Sarawak for nest pieces. BOTTLED BIRD'S NESTS are a modern innovation of a classic delicacy. Along with shark's fin, dried abalone and premium sea cucumber, bird's nests are frequently on the menu at exclusive banquets. They reflect the status of the host. Today, while the price has not come down, modern technology in processing and marketing means bottled bird's nests are becoming easily accessible. More individuals are using them as a regular supplement, in desserts, and in other dishes. These bottled bird's nests come in a variety of flavors, some without sugar, some with added herbs or nutrients including ginseng. One popular way is to add some bird's nest to congee or soup. One only needs to warm up the contents in the bottle before consuming or adding to other foods. The editor advises, that in the next issue, several bird's nest recipes will be provided, and a major book about them and other dried foods written by Chef Tsoi will be reviewed. In the meantime, enjoy the congee recipe that follows, and check the online index listing at www.flavorandfortune.com and cookbooks for other bird's nest recipes. Note: The recipe that follows, recommended by the article's authors, is from Look and Cook with Annie by A. Leong, edited by Celine Lin, and published in Hong Kong by Annie & Friends Limited © 2006. It says the recipe is from Annie's Sifu, Chef Lee Yuk Hang. We say it was rewritten for you in the style of others in Flavor and Fortune. The editor advises that other bird's nest recipes have appeared in Flavor and Fortune in Volume 3 (2): 19; Volume 4 (1): 7 and 22; Volume 7 (1): page 13 and 14; and in Volume 13(3): page 21. Several others will appear in the next issue along with a review of two books about popular dried foods. 1. Soak the bird's nest in cold water for two hours, then drain. In a saucepan, bring four cups of water to the boil, turn off the heat, and add the bird's nest. Cover and let this stand overnight. 2. Drain the bird's nest using a fine strainer, then sprinkle the salt onto it. Gently squeeze the bird's nest to remove any remaining water. 3. Inspect the bird's nest to make sure it is clean and free of any feathers; should you find sone, use a tweezer to remove and discard them. 4. Put the bird's nest, ginger in a bowl and cover with aluminum foil. Steam overboiling water for thirty to forty-five minutes; remove bowl and stir bird’s nest into a large pot. 5. Add sugar, wine, cornstarch potatoes, chicken breast, and superior stock and stir vigorously as it is brought to a boil. Then beat in the egg white, and remove the pot from the heat. Pout the contents into individual serving bowls, and garnish with a teaspoon of the minced ham, and serve.